More and more players are now interested in the shooting game of the 100-man battle. 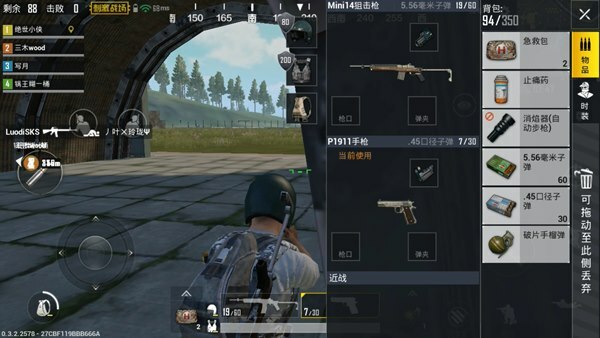 PUBG genuine mobile game PUBG Mobile to stimulate the battlefield is a typical 100 people against mobile games, this game is to win the game is to live to the end, no matter how much output you hit, no matter how many road you go, no matter how many people you killed, won the victory The method is as long as it is alive. Next, I will introduce to you how to live in this “hunger game” and finally become the final winner. In this game, living is victory. Therefore, in the game, “hello” is crucial. So what is " 苟 & rdquo; it is to try to avoid fighting with others, as long as you can secretly stay in the safe area, you can not look at the other people do not move to kill each other, and then reach the finals, kill the second Name on the line. There are many ways to use “How”. For example, if you can get a Geely service in an airdrop, you can do more with less. This green camouflage clothing can help you hide in the grasslands and forests. If you have been lying on the ground with grass, unless someone walks next to you, it is difficult to find your sight, let alone shoot you. Second, in the absence of certainty, it is possible to shoot less to avoid attracting the enemy’s attention. Everyone is an opponent in the game, as long as we have a good hiding place, you can take advantage of the fisherman. Then the second question came again. In the battle of 100 people, how can I stay secretly? In the safe area? First of all, it is crucial to be able to choose a good location for the skydiving. We should choose an area that is as far away from the route as possible to avoid meeting too many enemies at the beginning and reducing the possibility of death. This is an important strategy for newcomers. How to fly far away from the route is also a very important issue. In the initial parachuting, we should move our perspective upward so that the body of our game characters is in a state of flat flight. Then we can adjust the direction and fly forward. This can greatly increase the flight distance, and we can reach the sparsely populated areas to find equipment. After reaching the target location, the selection of equipment is also important. The first is the choice of firearms. I personally do not like sniper rifles because the general sniper rifle is not a big killer. It cannot shoot with one shot, and few people stay in one place, so it is difficult to knock down with a sniper rifle or Defeat the enemy. The rifle is my most recommended weapon because it has a greater lethality and a slightly longer range than other nearby guns. The most important thing is that it is easy to aim. Therefore, in the house to find the rifle as much as possible to lie on the body Oh! The rifle recommended some of the smaller recoil guns, more convenient to use. Second, medical kits, bandages, and sports drinks must ensure adequate supply so that they do not have any need. Third, vehicles can be used to speed up the process when the safety zone is far away. However, when the safety zone is very small, try not to drive to the center of the circle. It is easy to be discovered. Fourth, time is also very important. To control the timing of searching for equipment, do not forget to indulge in the spread of poisonous gas. The toxic degree of toxic gas will become more and more severe as the circle shrinks. Since the poison gas was mentioned in the previous paragraph, I will introduce the gas balloon again. When people are in the gas sphere, the blood will be reduced little by little until you enter the safe area. At the beginning of the game, we can support as much as possible in the poisonous gas. However, as the game progresses, the higher the degree of poison gas damage, the earlier we enter the safety zone near the center. Then find a convenient hidden place to hide and wait for a rabbit. If you enter the circle early, you can easily grasp the surrounding situation. On the contrary, if you enter the circle late, it is easy to be hunted by early arrivals. One of the most convenient and important ways to wait and see a rabbit is to observe the map. Because the viewing angle can only observe one side at most, the map can accurately tell you the situation around you. The footsteps on the map indicate that there are already enemies near you and are close to you. If you are in the house, you must pay attention to it. He may rush in from behind the door behind you, but don’t show his back to the enemy, otherwise he will die unclear. If it is a circular shape resembling a steering wheel, it means that a car is passing around you, and you can use the circular icon on the map to determine the direction of the car. If there is a gun pattern on the map indicating that someone is firing near you, you can also determine the direction of the person who shot it based on the direction of the pattern. These are some of the tips I learned in the game that should be useful to novice gamers. Bring these methods into your practice, you will certainly get a lot of harvest! Everyone also supports PUBG Mobile to stimulate the battlefield this exciting PUBG genuine hand travel. 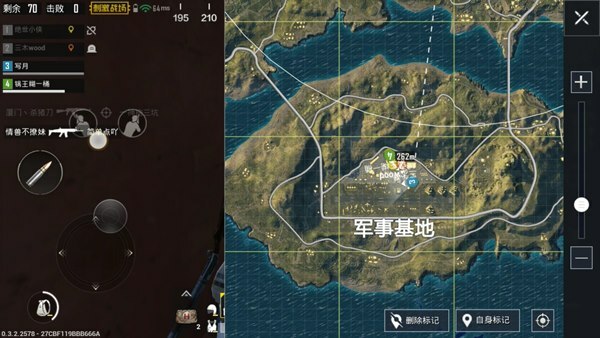 How does the PUBG Mobile guide circumvent those shooting habits? 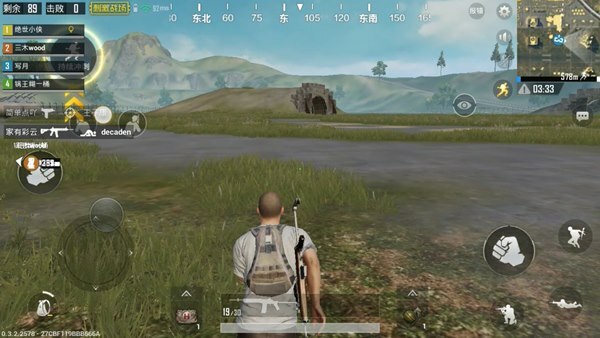 PUBG Mobile guide Lying Chicken Cheats: How should the final moment of the finals run to make you eat chicken? PUBG Mobile guide Final Competition!